In January of this year, I showed that it is possible to ban something without actually banning it. This is often called ”the Swedish model”, it is very successful and many want to export this model. The following manifest is a translated and somewhat modified version of my Swedish original, and will show how it is possible to free the United States from country/western music (from here on just referred to as country music) without actually forbidding country music, using the Swedish model. If you have a nation, a blog or a website, and a heart-warming cause, feel free to copy and spread the following method anyway you like. Wanna ban cricket, telemarketing, romantic comedy or stuntmen? It’s all possible, using this revolutionary technique, and some creativity! The sky is the limit! Country music is a curse. Country music is disgusting and country musicians are nothing but a bunch of failed rock musicians who feel obligated to perform with a country band to raise money for rent. How many country musicians want to be country musicians, really? In the best of worlds, country music shouldn’t exist. Country musicians almost always have a history of broken rock n’ roll dreams. Because of such traumas, they are incapable of knowing their own best. Therefore, we must protect them from themselves, by preventing them from performing their work, and we mustn’t take notice of their objections for like the addict or the oppressed, the country musician will always claim he is comfortable with his profession. It is common that the musician is affected by the Stockholm syndrome, and begins to sympathise with his audience. It is also common that foreign musicians are lured to America with promises of a better life and a career as a jazz or rock musician. Instead, they are forced to play steel guitar in a country band and take hundreds, possibly thousands, of customers per evening. The pay is terrible, their managers keep most of the money and they are forced to practically live in a tour bus, constantly on their way to the next gig. This wears them out. Late night performing and the horrific music destroys their pitch as well as their sense of taste. Just look at the size of their hats! With this comes addictions. Coffee, nicotine and some turn to Mr Jack Daniels for comfort. Country musicians also spread disease, since they may perform with a cold. And, of course, the all important gender perspective: All country musicians are male. The audience is female. Any insinuation otherwise does not fit the picture and should therefore be ignored. The country music industry is an expression of the matriarchal oppression, period! Now I’m no moralist, mind you, but country music is plain wrong. And immoral. Music should be something nice, something beautiful. Something that is done for the passion and love for music, not for the money. But this is not the country musicians fault. They are victims. They are used and only perform country because they lack options. The consumers are the bad guys. The hillbilly ladies with their out of style skirts and bad hair who square dance to Achy breaky heart performed by tonight’s act Joe Bob boys in matching outfits and stereotype over-sized cowboy hats. Should society allow this exploitation of people? Should we accept this imbalance between buyer and seller? Here’s the beautiful part: we criminalise the country music consumer. Without consumers the market will vanish and the musicians are relieved from their degrading task. 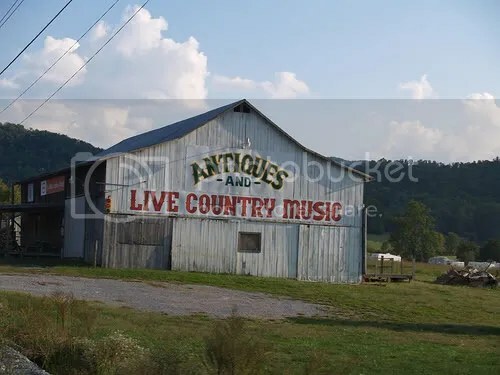 Some might argue that the country scene will go underground and that in that case the musicians will be forced to perform at illegal clubs where the risk of getting in trouble is much greater. I couldn’t care less. What really matters is to clean up our bars and barns. Further, we need to get to the managers who so shamelessly exploit musicians. This can be done by the use of a law against booking, which would simply make it illegal to book a country band. This law could, with some creative interpretation, also be used to split up the country bands by arguing that the members of a country band indirectly are each others managers since their common goal is to get gigs, and voilà; we have forbidden country music without forbidding country music. Clever, huh? A positive side effect of such legislation is that it would be possible to force a land lord to evict a tenant if it were to be known that he is a country musician, for the apartment is then to be considered a studio where immoral pieces may be written and economical agreements considering the music may be closed. To succeed, I believe that it is also necessary to stigmatise the country music as much as possible. This is a powerful way to mark society’s deprecation. We must mock and contempt the country musicians. We must make fun of their clothing and make scurrilous portraits. We have to make sure that people understand how filthy the country bands really are, so that they stop yearning for such. Encourage anyone who might go to a barn dance to ask themselves: Would you want your son to become a country musician? It should be made possible for social services to take custody of the children of country musicians, since that kind of musician can not be considered a suitable parent. The reason is simple: Since country music is bad and the musician still devotes himself to it, he clearly lacks the ability to take care of himself, worse yet a child. This argument could later evolve to another level. Since performing country music is reason enough for the social services to take custody of your children, you are evidently a bad parent if you perform country music, and therefore the children should be taken into custody. This is water proof. If needed, yet another reason for taking custody of the children is that they might become bullied in school as a consequence of the successful stigma we’ve created. It should, however, be legal to perform for free beer, even though that to, of course, is immoral. That’s how open minded I am. It should also be legal to record and sell country music. It is the interaction between the customer and the exploited musician that needs to be prohibited. I’m not quite sure why, but my gut (and a sack of money from the record labels) tells me that what needs to be criminalised to do live should still be perfectly legal to record and distribute. Brothel. Image by Caver Chris under CC-license. Andra bloggar om: prostitution, country, music, moral, double standard, the swedish model, legislation, intressant? Fast therefore stavas med ett ’e’ på slutet. Och du menar säkert sense och inte since i ”their since of taste” i tredje stycket. Små skönhetsfel, men trots det ett solklart fall av klassiker i bloggosfären! *pannklapp* Tänk att jag har korrekturläst så många gånger och inte sett det. Hemmablind. Lagar. Sorry, jag hinner inte läsa ordentligt just nu, men ser till min glädje att Björn klippte det mest uppenbara. Jag tror förstås att även denna text är fantastisk, men det börjar bli så många bottnar, att jag blir förvirrad. :D Återkommer! Det rätt mycket svenska överlag (”forbidding, ”knowing their own best”, ”raise money for rent”, ”it is also common”, ”lured”, ”any insinuation otherwise”, etc), men hjärtat är på rätta stället. JET: Jo. Engelska är trots allt inte mitt modersmål. Dessutom blir det lätt krystat när man försöker översätta sig själv istället för att skriva en text från scratch, inser jag. Fast jag knyter näven i fickan och muttrar på ett mycket svenskt vis. Jag är en hillbilly som sedan länge fimpat majonnäscountryn och hittat lysande countrymusik. Har drivor hemma! Och jag bor inte ens i en trailer park! Jag bara myser i förväntan… ja, du vet! :) One so far. Känner mig lite trög, hade läst nästan hälften innan jag förstod vad det handlade om… skyller på sömnighet och allmän utmattning. Anna Troberg » Kulturkalendern 4: “Arley Davidsöön” Rrrrrrr!